As students, we sometimes want to have pieces that are one of kind or something that you cannot typically find in stores. 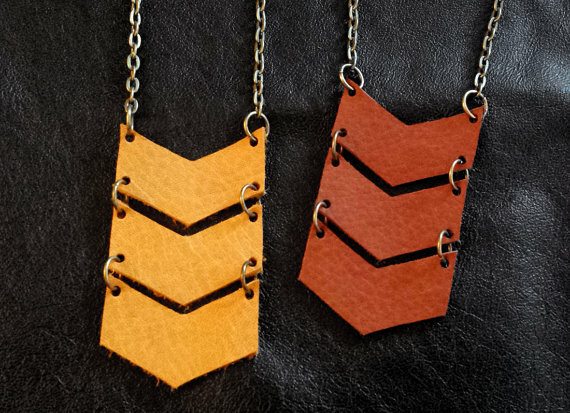 Etsy Selects is a page where Ink Fashion finds a unique Etsy page that we think other students would enjoy; a page that enhances your sense of style or adds a different touch to your everyday looks. 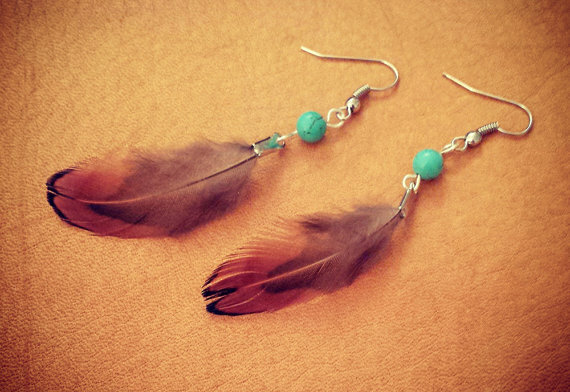 This week’s Etsy Selects is ” Shelby Jean Customs.” Shelby Jean sells handmade, unique accessories that are inspired by the bohemian, Native American or the new century hippie. 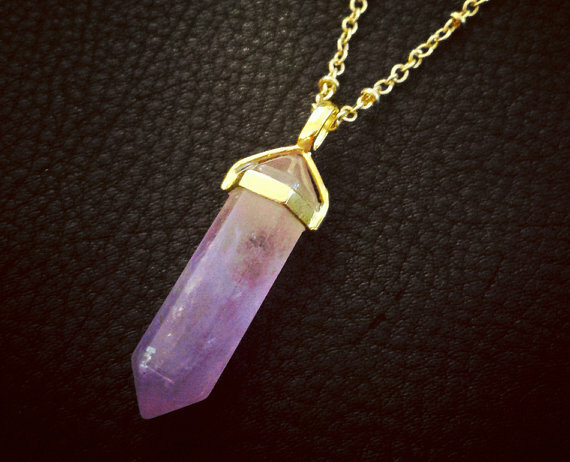 Shelby Jean stays true to their aesthetic with soft feathers, beautiful quarts, amethyst crystals and colorful Aztec shapes. If you love the new boho trend, be sure to check out Shelby Jeans customs page on Etsy. Ink fashion: What inspires you to create these pieces? 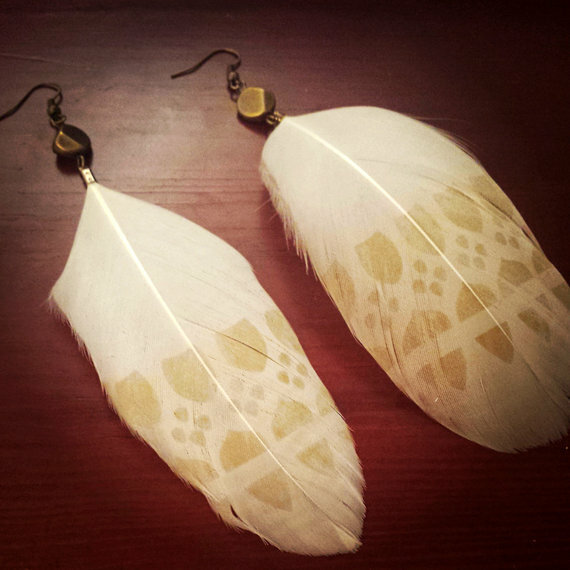 Shelby Jean : A lot of my pieces are inspired by Native American design and art. My grandfather lived in Alaska where I visited him there a couple times when I was younger. I remember that the Native art always left an impression on me. I’ve been drawn to it ever since. Ink Fashion: What’s does your name come from? Shelby Jean :That’s a simple one. My first & middle name is “Shelby Jean”. I added “Customs” onto the name to let people know I can create one of a kind pieces for them, so don’t hesitate to ask! Ink fashion: What sets you apart or makes you different than the other Etsy pages? Shelby Jean: I have a few “themes” in my work that all reflect me as a person. Every item on my shop comes together as a sort of “thumbprint” of my life. I think that makes my shop special. Ink fashion : Do you think your prices are easier for college students? 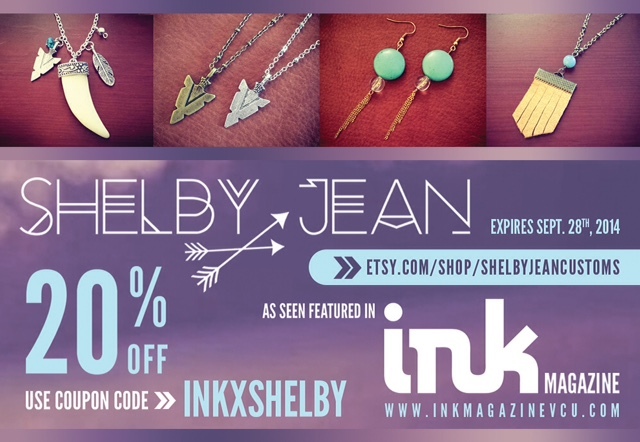 Shelby Jean: I believe that my jewelry is priced very fairly…especially for one of a kind hand-made items. Ink fashion : What do you want to say to the students that also want to create pieces like you? Shelby Jean: Don’t be afraid. Anyone with a passion for something can learn to do it. I watched countless amounts of YouTube DIY videos when I started. I even signed up for a semester course at the University of Wisconsin in Milwaukee for a jewelry & metalsmithing class to gain more hands-on experience. It taught me so much and broadened my abilities. Also.. I want you to know that it’s okay to fail, and sometimes that happens when you try new things – just keep at it. Jewelry can be made from just about anything. Don’t feel like you have to spend a lot of money to get started. Recycled materials are sometimes the best! With a little creativity you can make gorgeous creations out of old fabrics, scrap metal, wood, etc. I actually got my start on Etsy by creating necklaces and earrings out of “sea glass” I found on the beaches of Lake Michigan. It is just broken pieces of glass that have been littered into a lake or ocean and get tumbled by the waves until they end up on the shore very polished and rounded. If anyone has questions about how to get started feel free to contact me through my Etsy page! I’d love to help. Ink fashion: What’s your least favorite and most favorite piece you made? Shelby Jean: My least favorite piece started out with an idea in my head to make an abstract Native American “thunderbird” out [IMAGE3]of black leather… and the result ended up looking more like a gothic batman necklace gone wrong. But like I said before, it’s definitely okay to try new things and fail. No artist is in love with every single piece they create. Chalk it up as a good try and move on! 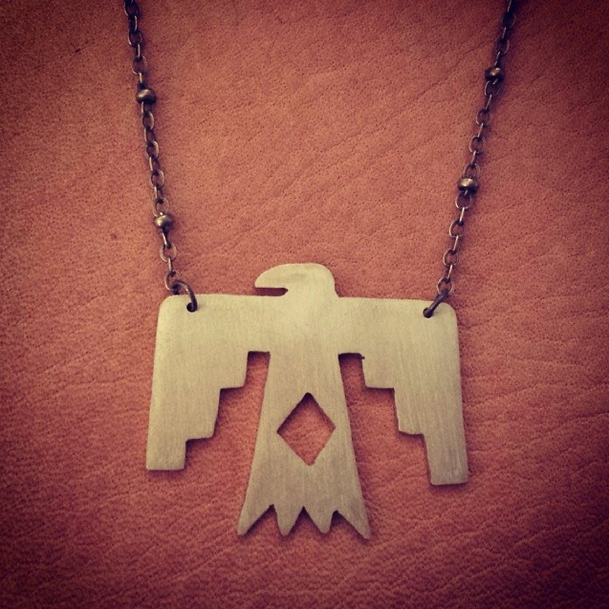 My most favorite piece is my SECOND attempt at a thunderbird necklace. This time I took a jeweler’s saw to a sheet of brass. It took a lot of patience and time but I was so thrilled with the end result, and someone else was too… because it sold shortly after I listed it on Etsy!